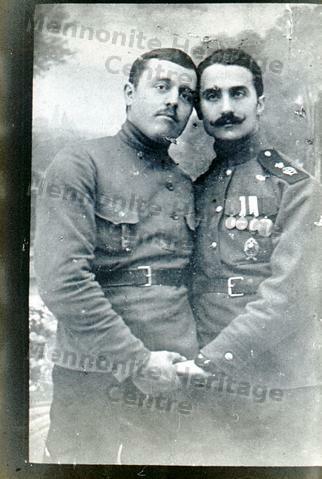 This photo show two men holding hands and heads touching. The inscription of the photograph read: "Menno. Dienende."